We’d all like to assume that our teenagers are behaving. But, the truth is, teenage alcohol abuse is just as much of an issue as it’s always been. But, how do you know if your kid is one of the one’s drinking? Ultimately, we can assume as parents that our kids will make decisions outside of our control. But what about when that behavior becomes destructive? What should I be looking for in their daily life that signals unhealthy alcohol use? Teenage Alcohol Abuse: What Should I Look For In My Kid? One of the first signs you might see to signal teenage alcohol abuse is a big change in your kid’s academics. In these cases, you may see your “A” student become a “C” student rather quickly. Because alcohol is a downer, when using heavily, people can become disinterested in things they once cared about. So, once important things such as good grades and college applications, may seem not-so important. In addition, alcohol use can also cause a lack of paying attention, a disinterest if you will. Therefore, they may begin suffering in the classroom quite quickly if abusing alcohol, which will likely show up in their grades. Another tell-tale sign of teenage alcohol use is behavioral changes in your kid. For instance, some teens may become depressed, more irritable, or more distanced from the things they once held dear. They can become angry and mad much more quickly than they normally do. In addition, they begin to suffer from depression or sadness which can cause them to lose interest in their usual activities. In other cases, they may begin to suffer from anxiety. Another thing you may notice when teenage alcohol abuse is taking place, is a change in friend groups. When your teenager begins hanging around a totally new crowd, or ditching their old friends, it could mean they are engaging in new behaviors such as binge drinking. So if your child begins separating themselves from old friends, it could be time to have a talk; see where their head is at. It could be a natural shift, or it could point to some larger problem. As some people may or may not be aware, North Carolina passed a law that required law enforcement to immediately arrest teenage drivers for certain traffic infractions. The reason for this law was to expedite the process to have the driver’s license revoked. What happens is the police officer takes the driver to the magistrate for a hearing to immediately have his or her driver’s license revoked. After the law took effect there was a lot of outcry in the state regarding the harshness of the new law. The General Assembly listened to these concerns this year and has decided to modify the law. The new provisions of the law will not require a teenage driver to be arrested immediately. Instead a police officer may issue a citation for the violation instead of making an arrest. The officer will then file the proper revocation report with the clerk of the superior court. The clerk may then decide to revoke the driver’s license and if so will mail the revocation order to the driver. The revocation will go into effect on the fourth day after the order is mailed and the revocation is effective for 30 days. This law currently only applies to those drivers who have a provisional driver’s license. If you find yourself in this situation and wish to challenge the revocation the new law also provides for a procedure to do so whereas previously there was no such procedure in place. These new provisions are set to go into effect on October 1, 2012. If you have been charged with a crime in North Carolina it is important to contact an attorney who understands the law as soon as possible.. Our attorneys at Robert J. Reeves, P.C. have experience handling criminal cases in NC and will work tirelessly to defend your case. Contact one of our attorneys directly by calling 704-499-9000 or toll free 877-374-5999. A conviction for DWI has serious consequence for anyone but if you are under the age of 21 some of the consequences may be longer lasting. North Carolina does not allow any tolerance for those under the age of 21 to consume any amount of alcohol and drive. Therefore even if blow under a .08 on the breathalyzer test you may still face being convicted of DWI. Not only do you face having a criminal conviction on your record that will haunt you the rest of your life but you will also lose your drivers license. 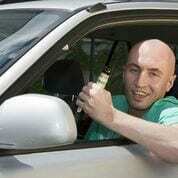 Those under the age of 21 will lose their license for a year or until they reach age of 21, whichever is longer. For example, if you receive a conviction for DWI and you are 19 then you will not have a driver’s license for two years. In some cases a judge may issue limited driving privileges until you can obtain your license again, although the DMV at this time in NC says they will not honor this. In some cases a Judge may allow what is called a Prayer for Judgment Continued which may serve to prevent someone under the age of 21 with a DWI from losing his or her license completely and keep the charge off your record. 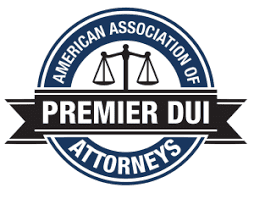 If you are under the age of 21 and have been charged with DWI you should contact an attorney who can assist you. 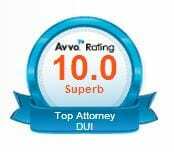 Our attorneys have experience handling DWI cases in NC and will work hard to defend your case. Contact one of our attorneys directly by calling 704-499-9000 or toll free 877-374-5999. You can also visit our homepage at www.rjrlaw.com for more information as well. A woman was arrested for DWI after being involved in an accident with her four children in the vehicle. The accident occurred in Cape Carteret on N.C. 24. Police believe the woman overcorrected her vehicle after driving left of center, which caused it to flip several times. The four children in the vehicle were all under the age of 5 and all of them were injured. Two of the children were critically injured as well as a passenger that was in the vehicle. The driver was not seriously injured. The woman was charged with DWI and two counts of felony serious injury by motor vehicle. She has not yet gone to trial on the charges but was released on bond. Part of the condition of release for her bond was that she had to be under electronic monitoring. While she was out on bond she was arrested for shoplifting at Wal-Mart. As a result her bond as now been increased. In the state of North Carolina if you are charged with a DWI, and also have a occupant in the vehicle at that time that is under the age of 16, you may also receive an additional charge of DWI Child Endangerment. The penalties for this charge may vary, depending on how young the child is, what your Blood Alcohol Level (BAC) level is, and if you have ever been previously convicted of a DWI. Moreover, the maximum penalty becomes much harsher in the event you were involved in an accident, or have a previous conviction for DWI. At this level you may be facing up to two years in jail, a fine of $4000, and having your driver’s license suspended for a lengthy period of time. In the case at hand, it is safe to assume that the defendant will be subsequently charged with Child Endangerment as well, due to the injuries and ages of her children, in conjunction with her BAC level. In Gaston County, North Carolina, a car and pickup truck were involved in a collision where they violently crashed head-on. A student from an area high school was seriously injured as a result. Further, two people had to be cut from one of the vehicles; emergency responders used the “jaws of life” to pull the car apart. The accident took place near Forestview High School in Gaston County, and troopers on the scene have reported that a white car containing three people attempted to pass a slower moving car striking a Ford pickup truck head-on. All patients were taken to Caramont Regional Medical Center where one patient has life-threatening injuries and two others have serious injuries. In the State of North Carolina, if you are injured by the negligence of another, you may be entitled to recover damages from the negligent party. The law of negligence encompasses, not only car accidents, but legal malpractice and wrongful death cases, to name only a few circumstances. The primary defense to a negligence action is the “contributory negligence” defense. Here, even if the defendant negligently caused injury to the plaintiff, the plaintiff cannot recover any compensation for his injuries if he was at all negligent. However, there are several exceptions to this doctrine, such as the “last clear chance” doctrine, the “rescuer” doctrine, claims for “willful and wanton” conduct, and the contributory negligence of minors. Therefore, while the standard is harsher than most states, it is still possible to be successful in a personal injury/negligence claim, so long as you have the correct argument to that effect. If you or a loved one has been involved in a collision, and have suffered personal injuries as a result, contact the law offices of Reeves, Aiken & Hightower, LLP at our Charlotte, North Carolina office. For a confidential consultation, contact us at 704-499-9000, or toll-free at 877-374-5999. You can also reach our South Carolina office in Fort Mill at 803-548-4444 if you have been injured in South Carolina.